A lively discussion is currently occurring in our city on how we manage our waste. Winnipeg recently opened the first of its kind 4R Recycling Depot at Brady Resource Management Centre, providing residents the ability to recycle 17 different streams of waste – free of charge! I encourage you to check it out! This 4R Depot is a very long awaited step forward in our waste reduction strategy. Discussion is now focused on how we should deal with our organic waste (kitchen scraps). 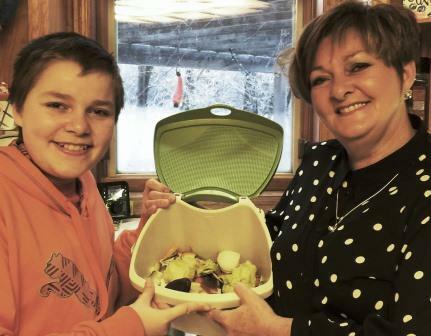 About 40% of the waste from residential homes is organic and can be composted. Organic waste sent to the landfill results in a negative impact on our environment and increasing landfill management costs. As we grow our city to a million people, proper cost effective waste management becomes even more critical. Waste management is an essential service, no different than providing roads to drive on, removing snow, and providing clean water to drink. Proper waste management is an integral part of a functioning and growing city. There has been much confusion and inaccurate information in the media related to the City’s position on an organics program. I’ve received many inquiries and would like to assure people that no decision has been made yet at City Hall on whether to proceed with an organics program. An extensive public consultation process and study is currently being launched to look at programs in other cities, best practices and costs. After this consultation and due diligence have been completed, a final report will be prepared by the Public Service for consideration by City Council. For me, the information in that report is absolutely critical in making a final decision! As your City Councillor, I need the facts in order to make an informed decision on the organics program and what is best for our City, in consideration of the many priorities we have. As South Winnipeg residents, we have a very close relationship with the Brady landfill. Many of us can see the rolling hill off in the distance, and hear the hundreds of white seagulls squawking as they fly overhead. On a few too many days, southerly winds can carry an odour that instantaneously reminds us just how close we live to the largest landfill in Winnipeg. I believe many of us would like to see Brady reduce in size, produce less odors, and become a state of the art waste management facility. In our house, we compost every day of the year. We have three growing boys who eat non-stop, and one keen son who scoops up all the kitchen organics to compost into nutrient rich soil for his garden. He insists this compost was a significant contributing factor in growing two massive pumpkins (1,348 and 1,283 pounds!) in the back yard last year! I’m hearing many strong perspectives on implementing an organics program. Once the City’s upcoming public consultations are announced, I encourage you to attend to learn as much as you can on waste management so we can make an informed decision for our City today, and for the future. Commercial businesses and organizations (restaurants, hotels, grocery stores, schools and universities, etc.) also need to be considered in the compost discussion, as they have significant outputs of organic waste. The City’s study will examine this important issue as well. 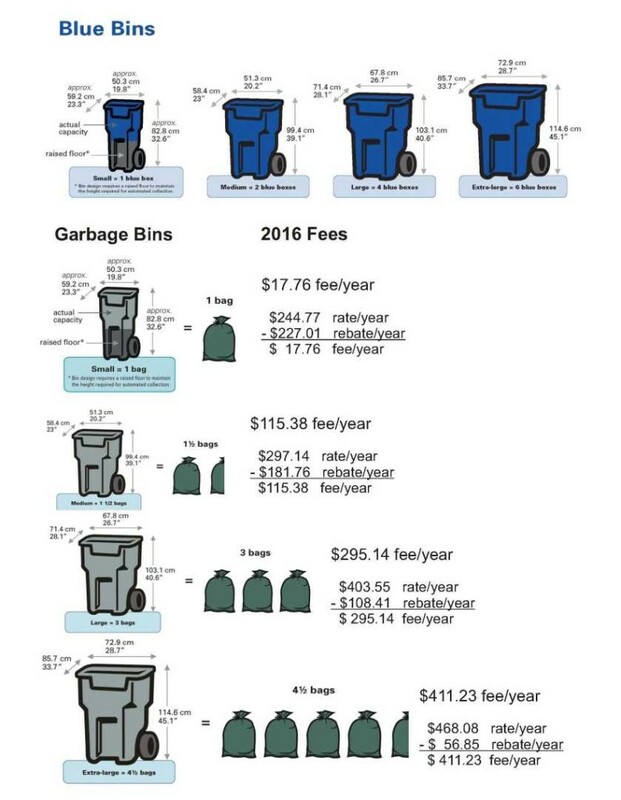 For comparison purposes, please see the chart below, which shows how the City of Toronto manages/charges for their residential waste services (2016 fees). There is an option for homeowners to determine their specific waste management needs. NOTE: There is no charge for recycling items and organic items – just for garbage – and residents are able to select the appropriately sized bin to suit their individual household needs. Again, I think it is very important to have the City Water and Waste Department conduct the study and bring back solid facts for City Council to base a decision on.